There's a lot of wishful thinking in Washington. Beltway Democrats wish for more of our money to spend. Beltway Republicans wish no one would notice they've done nothing about the deficit. President Obama is wishing from the 18th green that the economy will magically improve enough to make him appear competent. And his progressive allies wish the Tea Party, which defeated well-heeled liberal forces in 2010, would just go away. Whil politicians and bureaucrats continue to talk in small terms about change or are willfully blind to the effects of government largess, the power to make a difference still exists with the people. That's where NASCAR fans come in. From humble beginnings, NASCAR has grown into a national phenomenon few could have imagined back in the sport's old days. With a fan base of more than 75 million, making NASCAR America's second-most popular professional sport, its potential power as a political force can be profound and is as yet unrealized. We stand at the beginning of a great awakening. More and more Americans are discovering what they don't know about their own history and their nation's founding principles. And they want to learn. We the People is a three-volume, twelve-part program that will provide what these citizens need: a framework for understanding where we came from and where we need to go. The objective is not simpy reverence of America's founding principles, but to bring those living principles to the center of American politics today. Our first course, "Founding Principles of Freedom," begins by looking through the lens of the early patriots of Lexington and understanding why they fought. The Car #81 American Majority Racing booth has been set up and is ready for action. This interactive zone is filled with goodies for race fans and patriots alike. We have free racing simulators, a full-size show car, as well as photobooths and plenty of merchandise for you to get ready for the race season. The booth, currently set up for the upcoming Drive4COPD 300 will travel with the #81 team throughout the Nationwide Series. Be sure to stop by and say hello when we roll into a race near you. 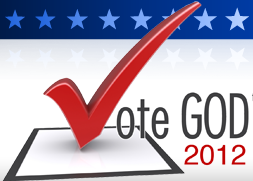 Local residents can register to vote and receive more information about our PledgeToVote.com and Keep America Free initiatives. We will see you at the track! Are you ready for the NASCAR season? The Nationwide Series kicks-off this weekend in Daytona, FL and we couldn't be more excited. If you can't make the race, you can catch it on ESPN 2 at 12 PM EST. Interested in attending another race closer to home? Check out the full list of NASCAR's Nationwide Series here.